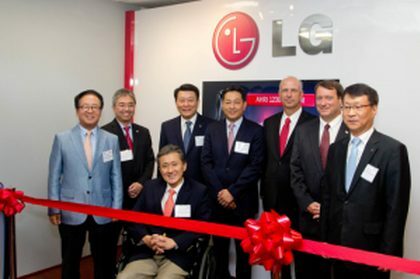 NCi and LG Electronics hosted a ribbon-cutting event and opening ceremony of the new NCi/LG Showroom at NCi’s Northern Virginia office in Falls Church on Tuesday, July 23rd. This event brought together executives from NCi and LG Electronics as well as government leaders to mark the partnership of NCi and LG and their combined efforts to build energy efficient buildings. Our new showroom will help promote products, support sustainable construction solutions and unveil state-of-the-art technology. We look forward to sharing more information over the coming months.